Lawyer. Writer. International Development Specialist. Communications and Social Media Strategist. Entertainment Correspondent. 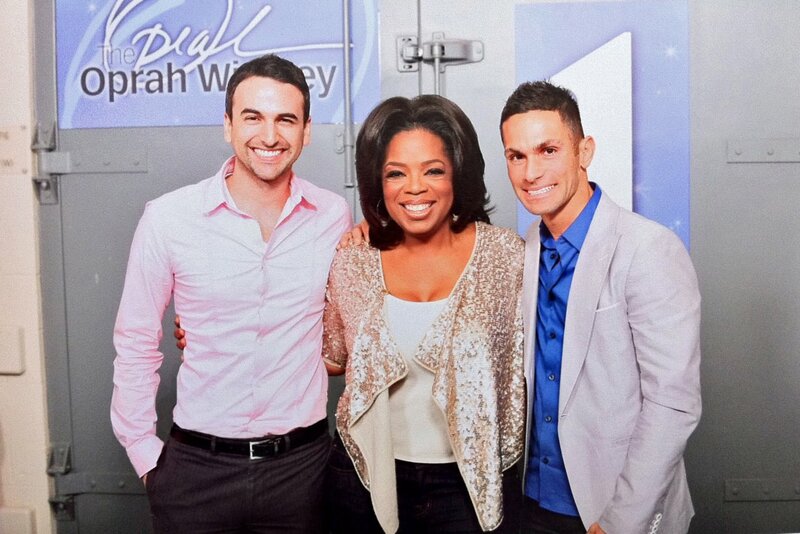 Patrick Thomassie, Oprah Winfrey, and Paolo Presta. Ten years after this momentous surprise, Paolo now lives in Los Angeles with his partner Patrick Thomassie and together they have just launched season 4 of their tremendously successful online talk show A Spoonful of Paolo with Paolo interviewing his biggest guest yet, his mentor Oprah Winfrey (Part 1 was released last Thursday with Part 2 coming out this Thursday, September 25). Talk about a full-circle moment! Over the course of the previous 3 seasons, Paolo interviewed a range of artists, actors, talk show hosts, musicians, journalists, and reality stars, including Kristen Chenoweth, Andy Cohen, LaToya Jackson, Sharon Osbourne, Kris Jenner, Nate Berkus, and Robin Roberts. Thomassie, having worked for several years as an actor, is the Executive Producer of A Spoonful of Paolo and the technical genius behind the show's visionary production and its various game segments. This indefatigable duo released their first episode of A Spoonful of Paolo on September 8, 2011, choosing that date because it was exactly 25 years after the first episode of The Oprah Winfrey Show aired. After its debut season, A Spoonful of Paolo was selected as a Webby Award Honoree, a prestigious award for online programming. We both grew up watching talk shows, and I always dreamt of hosting one. I had no idea how to make that happen so I started working behind the scenes of a few talk shows [including The Talk and The Ellen DeGeneres Show] to get an idea. In the spring of 2011, during the last episode of The Oprah Winfrey Show, Oprah talked about using your own platform. At that moment, I decided that if I was going to host a show, I would have to make it happen. In choosing the talk show's creative, partially eponymous title and direction, Presta states, "I love sugar, so Patrick thought of the title, A Spoonful of Paolo." From its very first episode where Paolo interviewed Sharon Osbourne, the luminous web-series took off, combining thought-provoking, inspiring interviews with entertaining game and quiz segments. Paolo Presta serves as the audience representative, asking the questions we yearn to ask, sharing the laughs we dream of sharing, and forging meaningful connections we can all enjoy. Paolo Presta and Oprah Winfrey after their September 2014 A Spoonful of Paolo interview. You see, authenticity is Presta's calling card. He realized at the outset that in order to be in his element, he needed to be completely himself. This authenticity permeates the entire process for Presta and Thomassie. What is even more impressive is that this duo undertakes every single aspect of production, research, booking, development, editing, hosting and release by themselves. When Presta reflects on the all-encompassing nature of the show, he observes, "I knew I wanted to be a host, but I never expected to be a researcher, a publicist, a producer, a travel agent and so many other things that come with running a show." Their efforts have not gone unnoticed. In addition to a passionate fan-base, loyal viewership, and a range of powerhouse celebrity guests, Paolo and Patrick are also currently working with Robin Roberts on an exciting new endeavor under the banner of her new production company. When asked about the project, Presta responds, "We have some really exciting ideas and over the course of the next year, we will be putting them into action. We're not sure what the destination will be, but we are seriously enjoying this journey." I've always considered Patrick my best friend since day one, so to be on this journey with the love of my life is amazing. Our lives have changed so much since starting this show. We have been in celebrities' homes, dressing rooms, inside their studios and to experience all of this together has been an amazing journey for the both of us. I know it can be really hard or even impossible for some couples, but working together has brought us so much closer together. We have learned that individually we can have dreams, but together we can make them a reality. We have learned how to use our skills to complement each other and how to keep each other going when times are tough. Patrick Thomassie, Kristin Chenoweth, and Paolo Presta after their April 2014 A Spoonful of Paolo interview. What is most beautiful perhaps is how Presta and Thomassie have encouraged their viewers to keep going in the midst of challenges. Through their tireless work and unquenchable desire to share light and joy, Paolo and Patrick have inspired legions of viewers everywhere to believe in the vivacity of their dreams. They have inspired us to never give up, showing us that in the space of kindness and grace, anything is possible. So in honor of the fourth season of A Spoonful of Paolo and to celebrate the tremendous work Paolo and Patrick have poured into this series, I am pleased to countdown my 10 all-time favorite episodes of A Spoonful of Paolo, including the one-word that Paolo and Patrick have each shared to describe the chosen episodes. As Paolo would say, "Sit back, eat a cookie, and enjoy the show!" 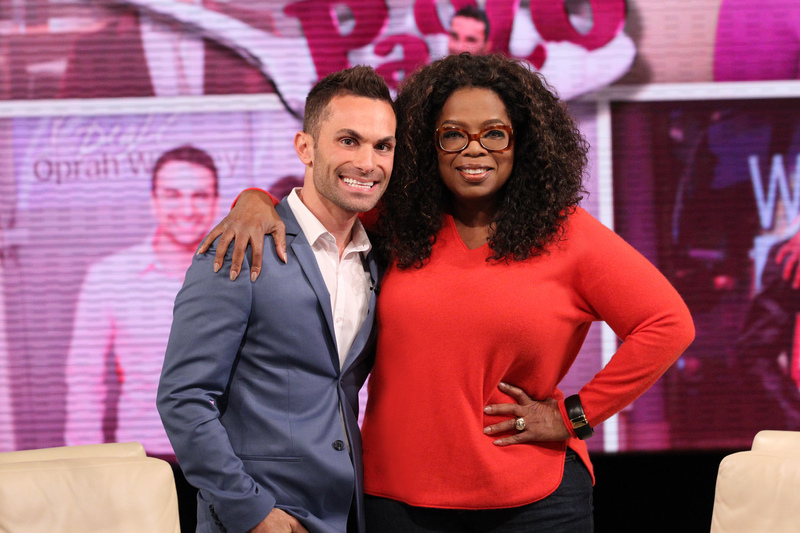 And don't forget to tune in to Part 2 of Paolo's interview with Oprah Winfrey which will be released HERE on Thursday, September 25, 2014.